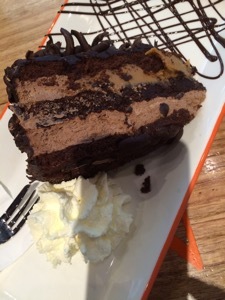 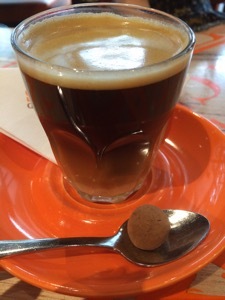 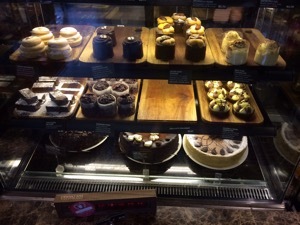 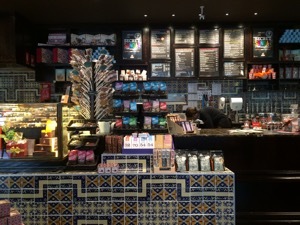 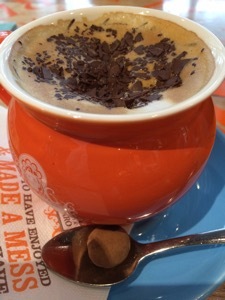 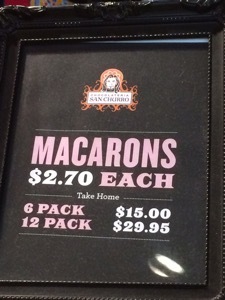 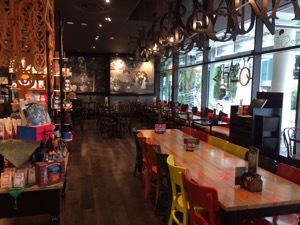 San Churro Chocolateria in Woden is a great spot to go for coffee. 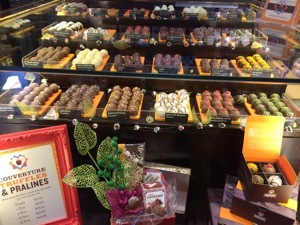 It’s a fun décor and a special experience to be surrounded by so many delicious, beautiful chocolate options. 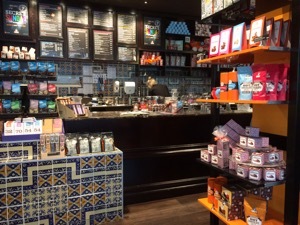 The coffee is good and includes some special options like Spanish latte and iced Spanish latte ( a little like the coffee you find in countries like Vietnam, Cambodia and Laos). 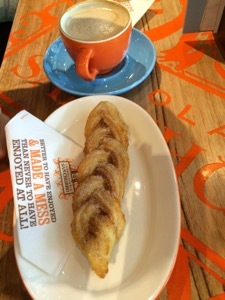 But one of the best things about San Churros is that you can choose as little or as much chocolate or dessert as you desire, to have with your coffee. 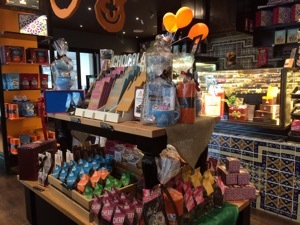 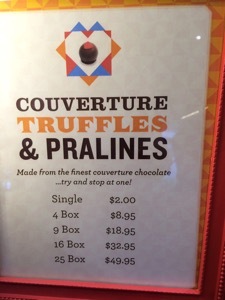 The options range from the tiny chocolate taste that comes with your coffee to delicate individual chocolates for $2 each, up to large pieces of San Churro chocolate Cake $8.95. 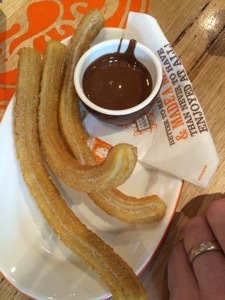 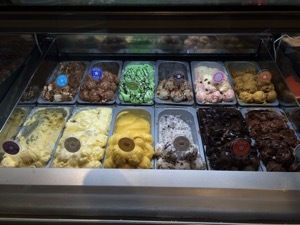 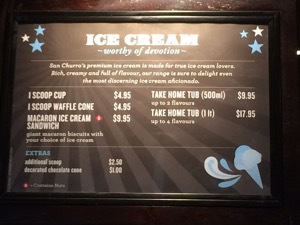 And for something a little less chocolate, there’s a range of churros and also some very nice looking icecream.